The judge who presided over the trials of former Governor Rod Blagojevich will speak on the Eastern Illinois University campus in Charleston this Thursday. 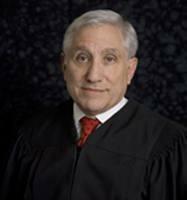 U.S. District Judge James Zagel will talk about "The Breach of Public Trust" at the Doudna Fine Arts Center. A question-and-answer session will follow the free talk. Zagel sentenced Blagojevich earlier this year to 14 years in a federal prison. The judge is also a former Cook County prosecutor. He's also written a number of legal books and has published a novel, "Money to Burn."